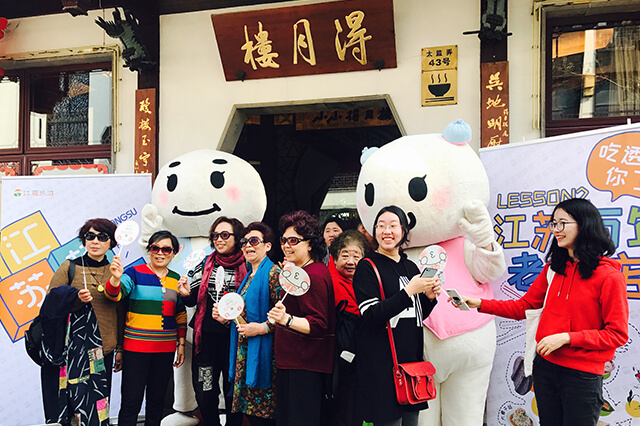 On 12th April, 2018, the second season of Super Amusing Jiangsu, the brand activity sponsored by Jiangsu Province Tourism Bureau, comes online with all the delicious food of the “Century Old Restaurants in Jiangsu”. 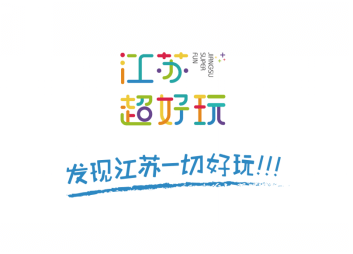 Based on the purpose of “capture the unique fun in Jiangsu and export all the good ideas”, Super Amusing Jiangsu, which was launched in January 2018, has deeply explored the tourist resource in Jiangsu with multi-dimension by standing in the angle of the tourists, thus to capture the “totally new excitement”for the tourists in times of diversified tourism. 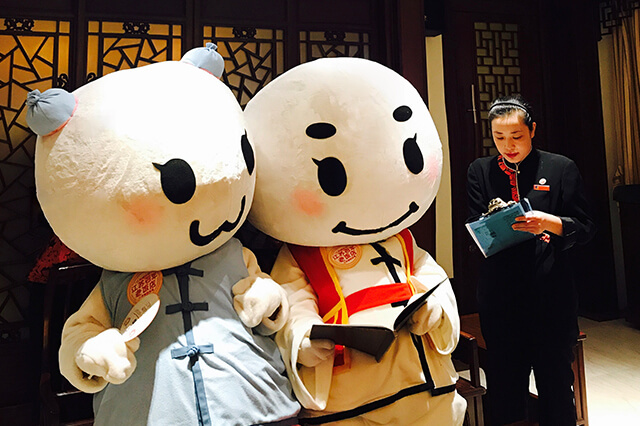 The first season of this activity with the theme of “Stay at the hotels even you have to eat dirt ･Jiangsu Chaomei Design Hotel” received extensive attention after it was launched. The new form of “online + offline + experience”and the new idea of “mascot + short video + detailed hand written traveling strategy” made the online users cry out “it’s so much fun”! 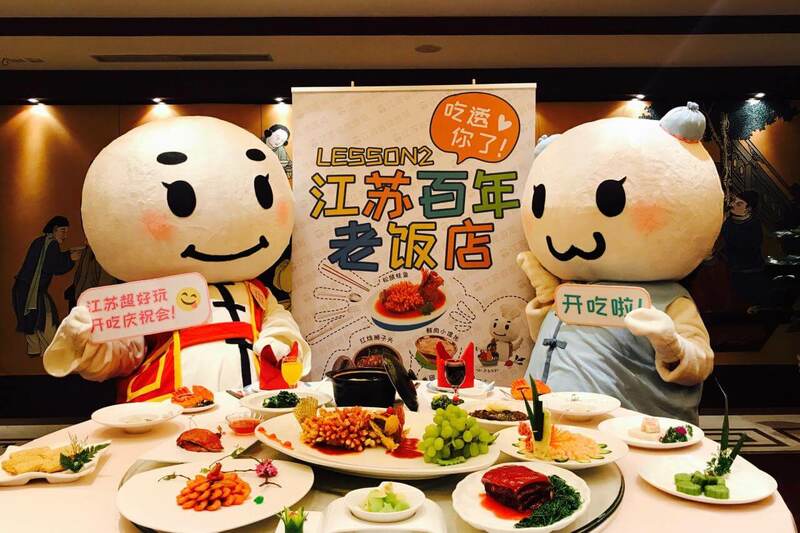 In April, which is the time when all the tasty food are coming out, the second season of Super Amusing Jiangsu with all the fresh and delicious food from the century old restaurant comes online, and the mascot of the activity Big Face Su will take its team to try “all”the old restaurants in Jiangsu Province. The theme of this season is not only to look for delicious food, but also to dig into the interesting stories of these century old restaurants thus to explore the cultural heritage of these old restaurant. Besides, we will continue to use the method and style to export content used in the first season which is “Super Amusing”， and put the content on various online portals, video websites and social platforms, thus to present the taste of Jiangsu that has inherited for centuries. 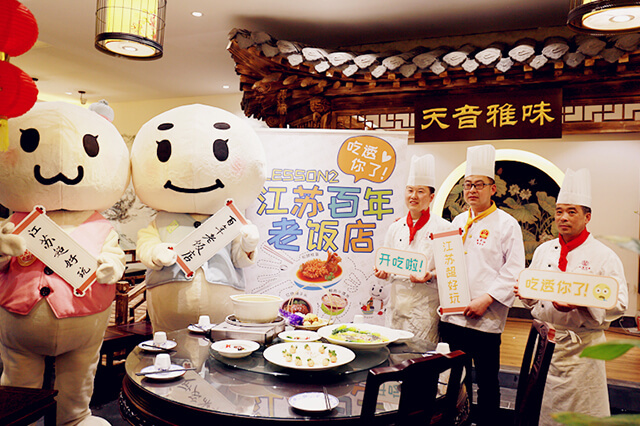 On the day of the publication of the activity, the mascot for the activity specially hired by Jiangsu Province Tourism Bureau transformed into the little kitchen god of Jiangsu, and together with the fans, a very lively “Celebration to Start the Activity” was held in Deyue Building in Jiangsu, which signaled the opening of the second season of Super Amusing Jiangsu with the theme of “Have All of You · Century Old Restaurants in Jiangsu”. The little kitchen god, Big Face Su, with its very big face, still burdens the heavy responsibility of “gaining followers” for the activity. It has been attracted followers online with its cuteness and interacted actively with the fans offline with its full effort. It is welcomed by the fans and tourists deeply. On the site of the presentation, Big Face Su was pursued by large amount of fans to take pictures with them – totally a superstar. 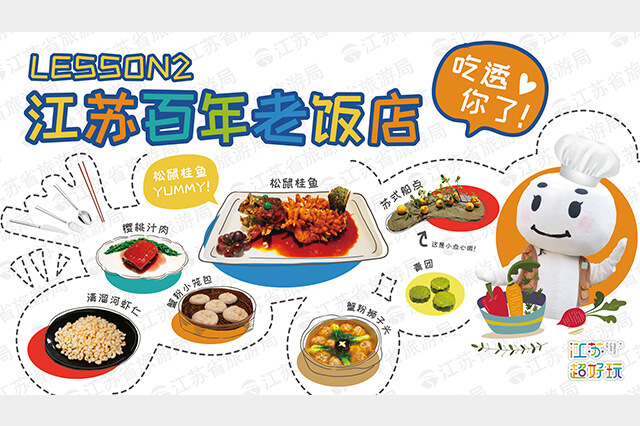 From 12th to the end of April 2018, the current season of Super Amusing Jiangsu will take all the fans, as well as foodies to deeply explore the “secret recipes”from the century old restaurants in Jiangsu to learn the memories of the fine food which has inherited for hundreds of years. During the process, we will publish series of fun and interesting short videos. 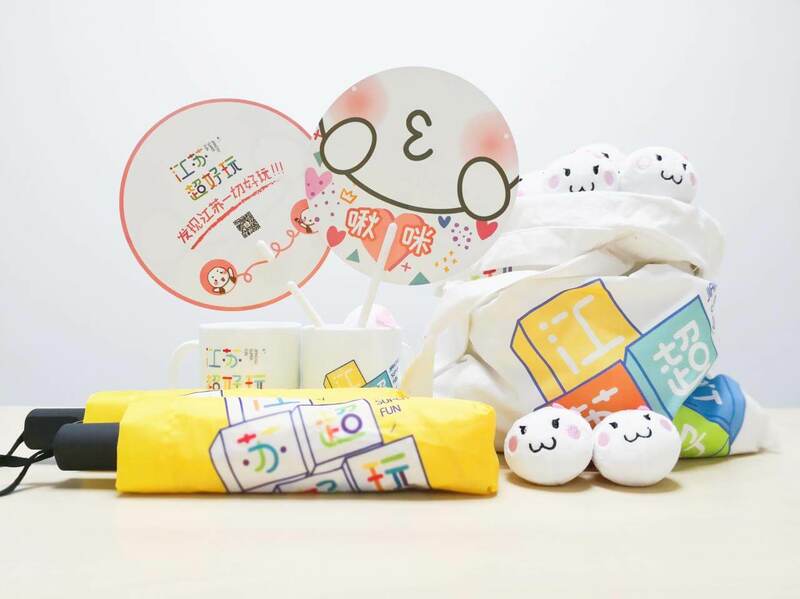 Moreover, gift bags of fine food from the century old restaurants, limited spring cultural creativity, and other prizes will be sent out gradually. Super Amusing Jiangsu will take you to discover all the fun in Jiangsu! Please follow the wechat account “江苏微旅游”(Jiangsu Micro Tourism), the official wechat of Jiangsu Province Tourism Bureau to find more fun places and ideas.